Visit us for the 43rd Spring Festival and Auction on May 10 and 11. Proceeds benefit children and adults served by the Holmes County Board of DD. Kind hearted people interested in a rewarding career helping individuals with special needs are always needed! Find out about this exciting career and learn about employment opportunities right here in Holmes County by clicking here. Our Mission is to support people with developmental disabilities in living meaningful lives. Our Vision is people with developmental disabilities are playing, learning, working and living as valued community members. CARING: We are helpful, understanding, respectful and attentive to well-being. INTEGRITY: We are ethical, trustworthy, reliable and follow through on our word. CHOICE: We provide information and opportunities for individuals and families to make decisions based on what is important to them. TEAMWORK: We collaborate with our trusted partners including individuals, families, coworkers, volunteers, private providers, school districts, governmental agencies, and local businesses. RESOURCEFUL: We enhance the lives of individuals with developmental disabilities and their families through creative problem solving, networking, and sharing information. Adults have more options than ever before! An individual's interests and goals are discovered to find the situation that best meets their needs. Adults can select the Training Center's Adult Day program, Lynn Hope Industries, or Community Employment. Holmes County adults with Medicaid waiver funding can also attend programs in neighboring counties. The Holmes County Board of Developmental Disabilities works with the Holmes County Department of Health/Help Me Grow to provide services to infants and toddlers, birth-2 years, who have a developmental delay. The Board provides Evidence Based Early Intervention Services through Developmental Specialists, an Occupational Therapist, a Physical Therapist, and a Speech Therapist. Our aim is to support families in achieving the outcomes they have identified for their child. Board staff act as a coach to parents in the child’s natural environment as they go through typical family routines. To see if your child is meeting their developmental milestones, click here. The Family Support Services program assists families caring for a loved one with a disability in their home. The purpose of the program is to provide funding for disability related goods and services which enable the individual with a disability to be an active member of the family and to remain in the family home. 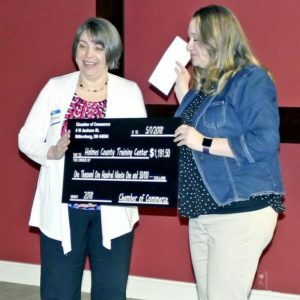 The Holmes County Board of Developmental Disabilities is responsible to ensure the health and welfare of Holmes County residents with developmental disabilities. If you are concerned that a child or adult is being abused or neglected, or you are a provider required to report a major unusual incident (MUI) please call (330) 674-8045. During office hours, you can speak to a staff member in our SSA Department. If you call outside of office hours, select the option from our phone menu that will connect you to the on-call SSA. For more information click here. The Board operates a school under the authority of the Ohio Department of Education for students in Kindergarten – Grade 12. Students who attend our school require individualized special education intervention and intensive therapies which include: Music therapy, Occupational therapy, Physical Therapy, and Speech Therapy. Our school has a full-time, on-site RN who provides medication administration, seizure monitoring, and tube feeding. The Board provides transportation to students enrolled in the school. On average, 36 students attend classes. All individuals who receive services from the Board have a Service and Support Administrator, SSA. An SSA assists the individual and their family, friends and care providers to develop an Individual Service Plan (ISP). The ISP is the driving force behind all of the services an individual receives. What is IMPORTANT TO and IMPORTANT FOR the individual is identified along with the individual's desired outcomes. SSAs and teams work with individuals to design and create a life that is meaningful to them. The Board provides door-to-door transportation in wheelchair accessible busses and vans to students enrolled in the Board's School and adults who attend day services at our location. During the school year more than 3,500 rides are provided each month. Holmes County Leadership Class of 2018, thank you for thinking of us and your generous donation that helps us fulfill our mission....supporting people in living meaningful lives.